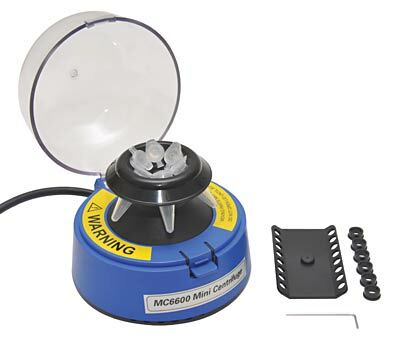 The MC-6600 Mini-Centrifuge is ideal for a quick, easy, and economical way to spin down micro samples, perform microfiltration work and cell separations. The easy-open lid permits convenient single-handed operation. The clear lid and electronic safety cut-off allow the user to safely observe samples at all times. 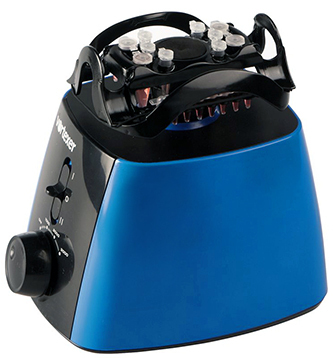 The mini-centrifuge quickly accelerates to maximum speed (6,600 rpm/2,200 rcf) and stops within seconds. The advanced motor mounting systems provides quiet, vibration-free operation. The MC-6600 centrifuge includes a traditional angle rotor with capacity for six standard microtubes (1.5ml to 2.0ml) as well as a strip tube rotor for two PCR tube strips or sixteen individual 0.2ml tubes. Additional adapters are also included for 0.5ml tubes. The rotors can be easily interchanged by the user within a matter of seconds. 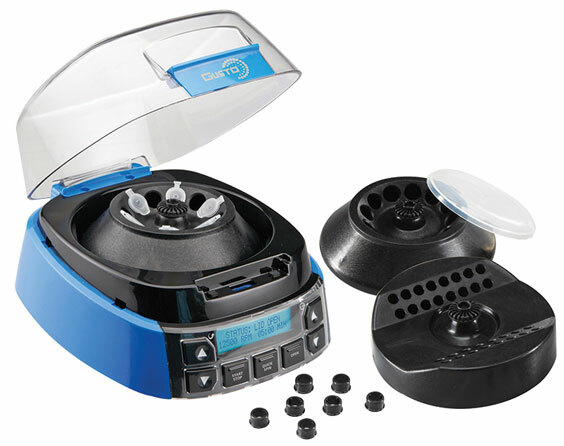 The Gusto is a compact, high speed centrifuge for mini centrifuge tubes. It is ideal for protocols calling for high spin speeds. It is ideal for PCR®, microfilter cell separation, clinical and diagnostic applications, and HPLC protocols. 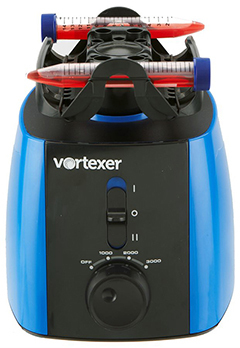 This modern designed vortex mixer is capable of meeting the mixing requirements of the most popular test tubes used in today’s lab without the need to swap out mixing head units. The innovative design makes maximum use of the space available, providing holding slots for no less than six different sizes of tube and a standard assay plate, while the center pad area can be used for quick hand held mixing of a vast range of tubes and vessels.